Girl's Head Scalloped Disc Charm by Rembrandt Charms. The width is 3/4 of an inch. 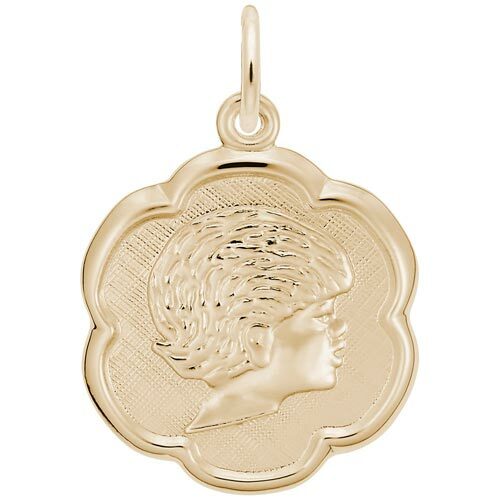 Keep her close to you at all times with our Girl's Head Scalloped Disc Charm. Engrave special moments to add a personal touch. The matching boy’s silhouette charm is style 0943.